In the wake of the Halloween season, all our attention turns toward Christmas. Our ears can’t help but perk up at the mere sound of jingling car keys. We imagine them as festive bells in our mind’s eye, adding a decorative tree and tinsel to the scene in our anticipation. Somehow in all this, November is forgotten, or cast off as an afterthought. That works just fine for me. 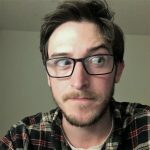 Because in these hyper-polarizing times, the last thing many of us want is to have a spirited, political discussion during the already-stressful-enough family dinner. So let’s forget about the holiday-that-must-not-be-named altogether, and instead focus on the two seasons that we really look forward to. Luckily, there’s a perfect film for just such an occasion. “The Nightmare Before Christmas” is a delightfully spooky film directed Henry Selick, and produced by the dark and imaginative Tim Burton. Their use of stop-motion animation puppets really brings the set of Halloween Town to life. Of course, the film wouldn’t be the hit it is today without Danny Elfman’s incredible score. For those who haven’t seen it, I’ll give a quick synopsis of the plot. But really, you should do yourself a favor and just watch it already. “The Nightmare Before Christmas” centers around a town filled with monsters, ghouls, and ghosts called Halloween Town. Every year, the residents put on a great spectacle for their town’s namesake. One year, Jack Skellington, the pumpkin king of Halloween Town, is filled with a pervasive boredom. Scaring is just too easy for him, and each year seems the same. Spurned by this feeling, Jack embarks on a journey through a forest filled with doors to the other holiday-themed towns. When he discovers Christmas Town, Jack is filled with delight at the newness and magic that fills its air. He then tries his best to bring the spirit of Christmas to Halloween Town. 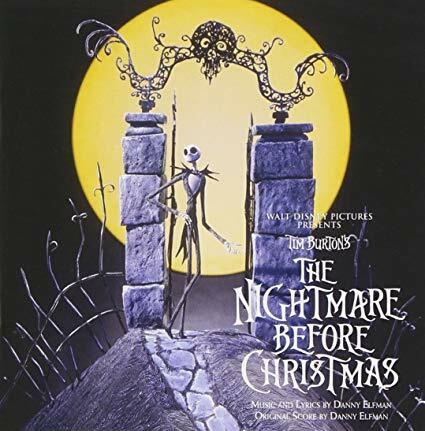 So let’s journey through this delightful masterpiece by looking at a few of the best songs found in “The Nightmare Before Christmas”. The film opens in our main setting of Halloween Town, on the night of Halloween. In celebration of the big night, the residents all gather around for a big surprise from Jack. The whole opening scene plays out to the swelling strings and ominous bells conducted by Elfman, as the residents all sing, introducing us to their town of Halloween. To me, the most amusing parts of “This Is Halloween” come as the monsters introduce themselves one by one. “I am the one hiding under your bed / teeth ground sharp and eyes glowing red”, is just one example. My personal favorite, however, is, “I am the one hiding under your stairs / Fingers like snakes and spiders in my hair”. Fun fact: Not only did Danny Elfman produce the original score, but he also wrote all of the lyrics. Our next song comes after Jack and his ghost-dog Zero stumble into Christmas Town. For the first time, Jack is surrounded by a world of snow and glee. As he walks through the new world, Jack looks on with wonder, and sings his thoughts out loud. The standout quatrain I hear every time I listen to this song is, “There’s children throwing snowballs / Instead of throwing heads / They’re busy building toys / And absolutely no one’s dead”. Great imagery again from Elfman. Another fun fact: While he doesn’t deliver Jack’s speaking lines, Danny Elfman sings all of the pumpkin king’s songs. For our last song, we’ll take a look at Halloween Town’s resident boogieman, Oogie Boogie. By this time, Oogie’s goons have kidnapped Santa Claus (who they assume is named ‘Sandy Claws’), and are keeping him captive in Oogie Boogie’s lair. The song that follows has a 1920’s, jazzy feel to it, as Oogie interrogates Sandy Claws. Oogie ends his song with a few foreboding lines. “It’s hopeless, you’re finished / You haven’t got a prayer / Cause I’m Mr. Oogie Boogie / And you ain’t going nowhere”. 2. “Opening” – Patrick Stewart. 3. “This Is Halloween” – Danny Elfman. 4. “Jack’s Lament” – Citizens Of Halloween Town. 5. “Doctor Finkelstein/In The Forest” – Danny Elfman. 6. “What’s This?” – Patrick Stewart And Halloween Cast. 7. “Town Meeting Song” – Danny Elfman. 8. “Jack And Sally Montage” – Danny Elfman And Cast. 9. “Jack’s Obsession” – Patrick Stewart And Halloween Cast. 10. “Kidnap The Sandy Claws “- Danny Elfman And Cast. 11. “Making Christmas” – Danny Elfman And The Citizens Of Halloween Town. 12. “Nabbed” – Patrick Stewart And Halloween Cast. 13. “Oogie Boogie’s Song” – Ken Page With Ed Ivory. 14. “Sally’s Song” – Cathrine O’Hara. 15. “Christmas Eve Montage” – Patrick Stewart And Halloween Cast. 16. “Poor Jack” – Danny Elfman. 17. “To The Rescue” – Patrick Stewart And Halloween Cast. 19. “Closing – Patrick Stewart. 20. “End Title – Patrick Stewart And Halloween Cast.